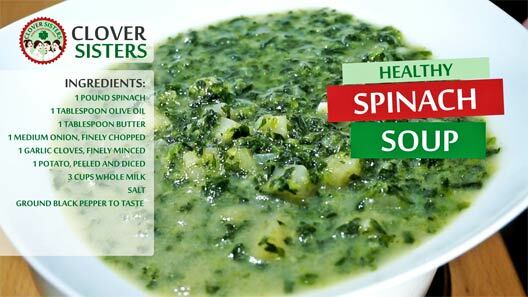 This delicious vibrant green, lovely, healthy spinach soup has a very strong flavor and can be served with a slice of crusty bread. Heat the butter and olive oil in a large saucepan, add the onion and garlic and fry gently until soft. Stir in the peeled and diced potato and continue to cook. 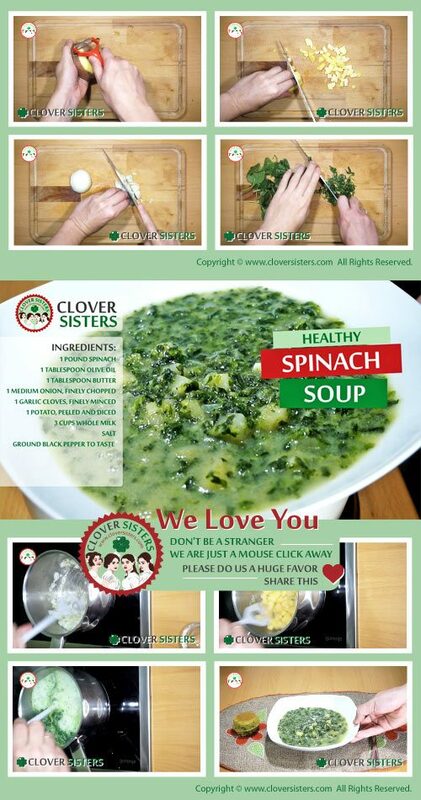 Pour in the milk and bring up to a simmer, add the spinach and stir constantly for a couple of minutes until thickened. Taste and season with salt and ground black pepper. Serve warm with crusty bread.